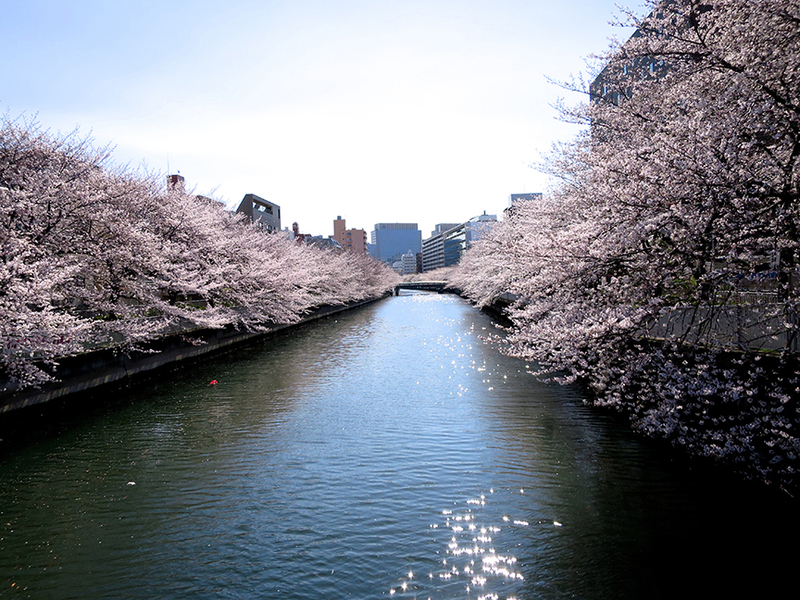 Home » Awesome Stuff To Do » Hanami Blitz: My Picks For The Best Cherry Blossoms In Tokyo! 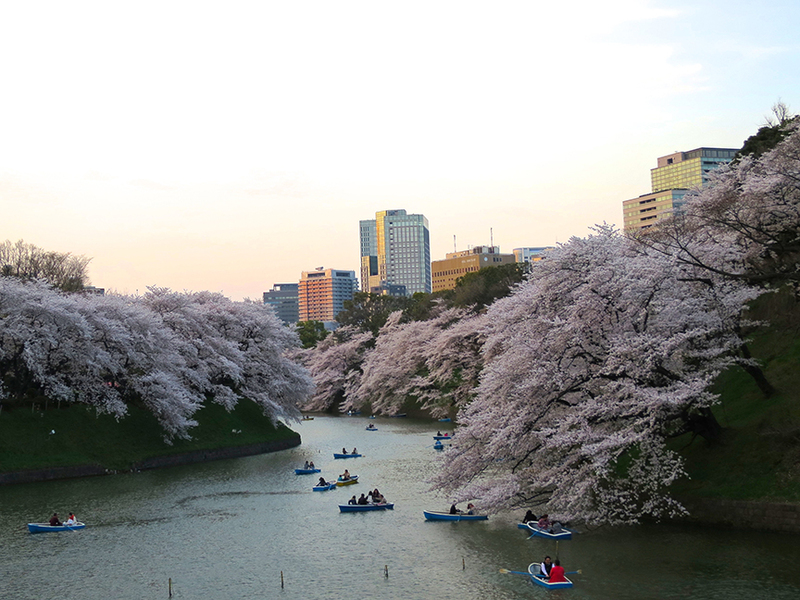 Hanami Blitz: My Picks For The Best Cherry Blossoms In Tokyo! Huge stroll garden with crowds to match.Go early if you can. 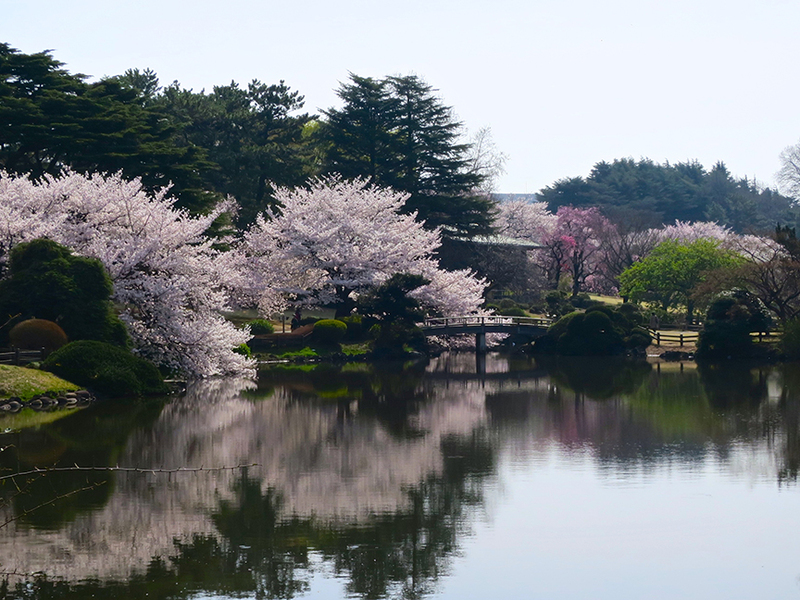 Many gorgeous landscapes, and huge old cherry trees all over the place. 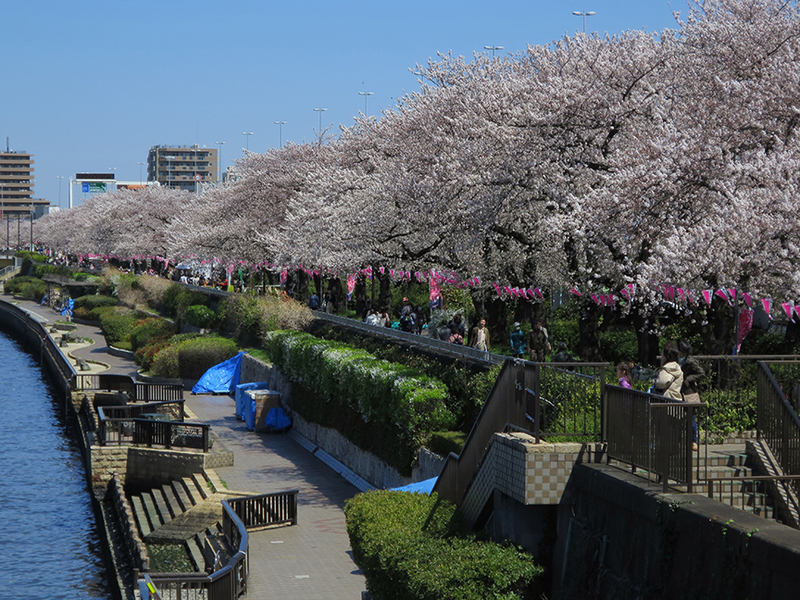 The cherry trees become a cathedral of pink goodness during The Season along the Meguro River (it’s actually more of a concrete canal these days, but no matter). Come during the day, and stay until nighttime, when they light the lanterns in the trees and sell beer and food along the sidewalk. This isn’t a place to stop and sit and picnic, but it’s a beautiful walk and the sheer size of the cherry spectacle is worth a trip. Lit up at night, it’s spectacular. 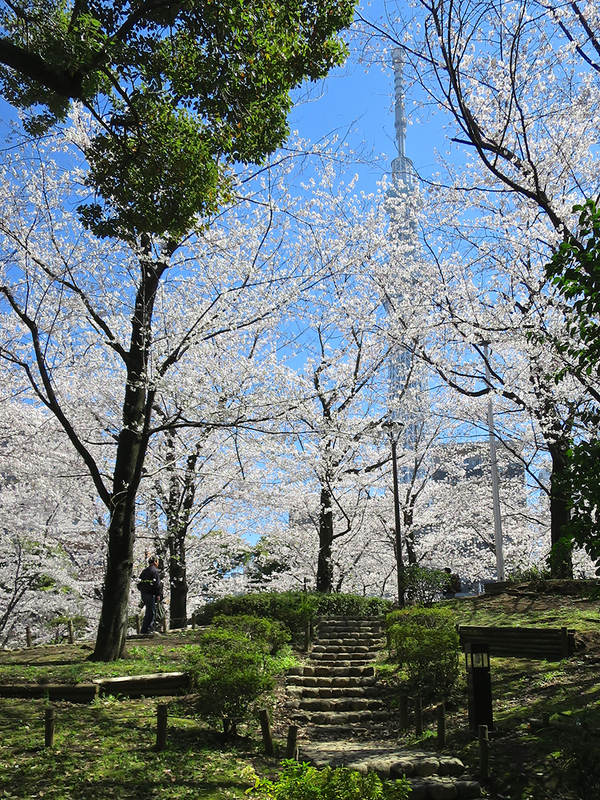 Load up on beer & snacks and don your pink spandex cherry blossom costume and get thee to Yoyogi Park. On the weekends it’s wall to wall blue tarps, but on the weekdays it’s quiet and beautiful. If the weather is good, this is a nice place to walk. There are food and drink stands along the way too. 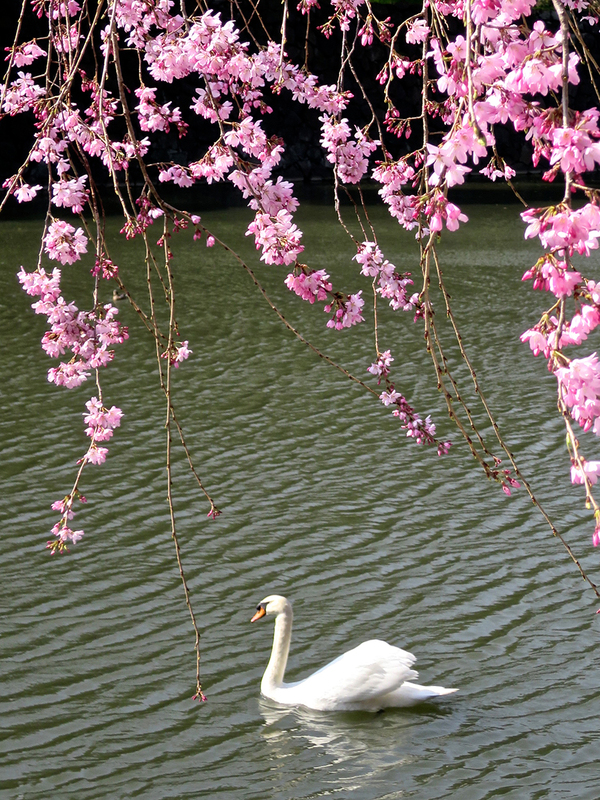 I find the garden itself pretty underwhelming (and it doesn’t have many cherry trees) but the moat near Otemachi station has swans and some lovely specimen trees for your picture-taking enjoyment. 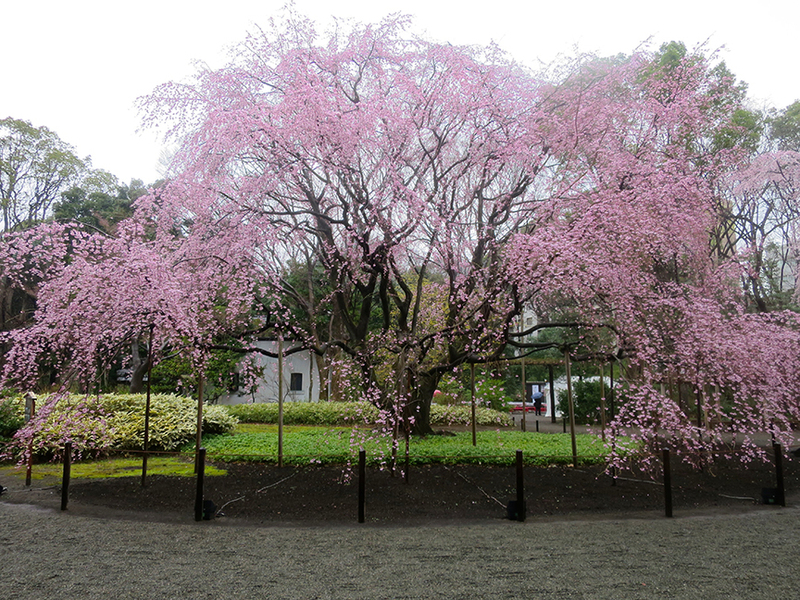 This is one of my favorite gardens in Tokyo in any season, but if you come at the beginning of cherry blossom season, you can see their famous weeping cherry tree in bloom. It’s worth a trip, just for that. For one week, the garden is also open at night until 9:00, with the trees all lit up. Here’s another behemoth – this one is at Korakuen. 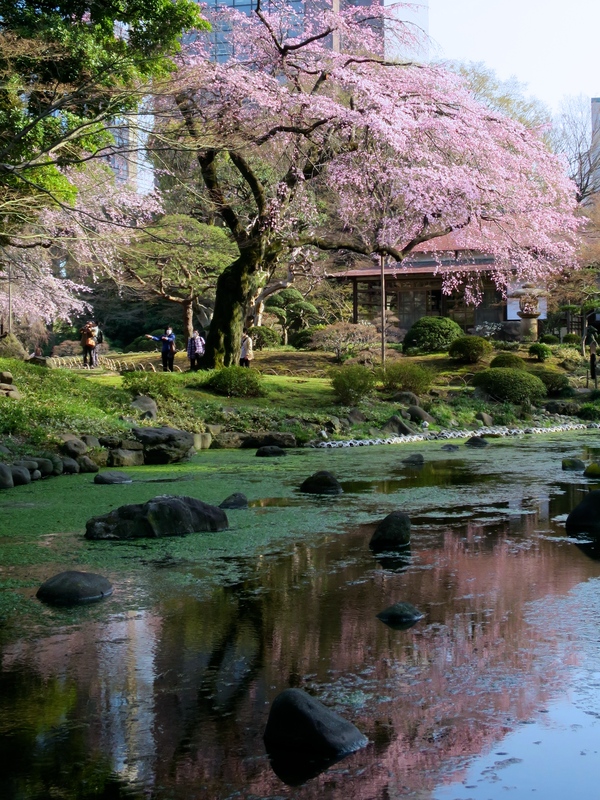 My absolute favorite garden in Tokyo in any season, and although they don’t have a ton of cherry trees, the ones they have are set in such lovely gardens, you’ll definitely be glad you came. 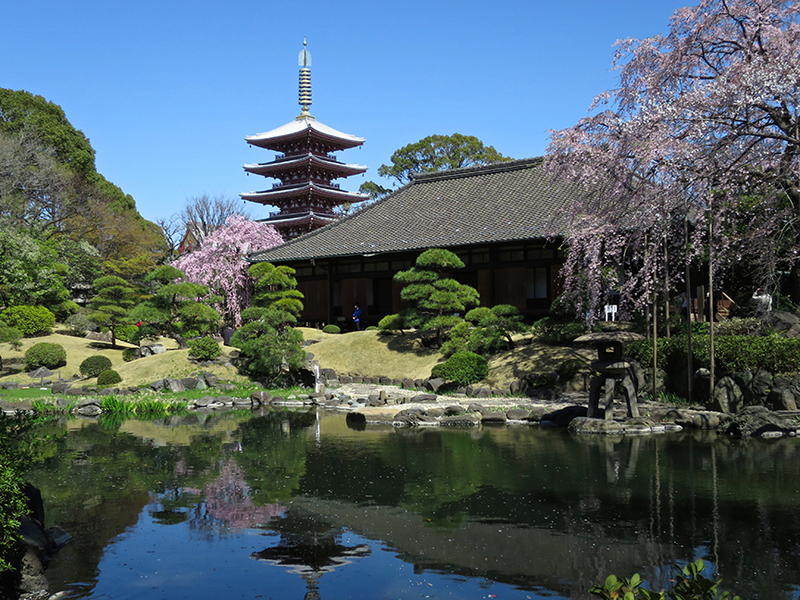 This garden is seldom open to the public, but they open it during cherry blossom season. It’s not big, but it’s gorgeous. They have two fantastic weeping cherry trees that do not disappoint. 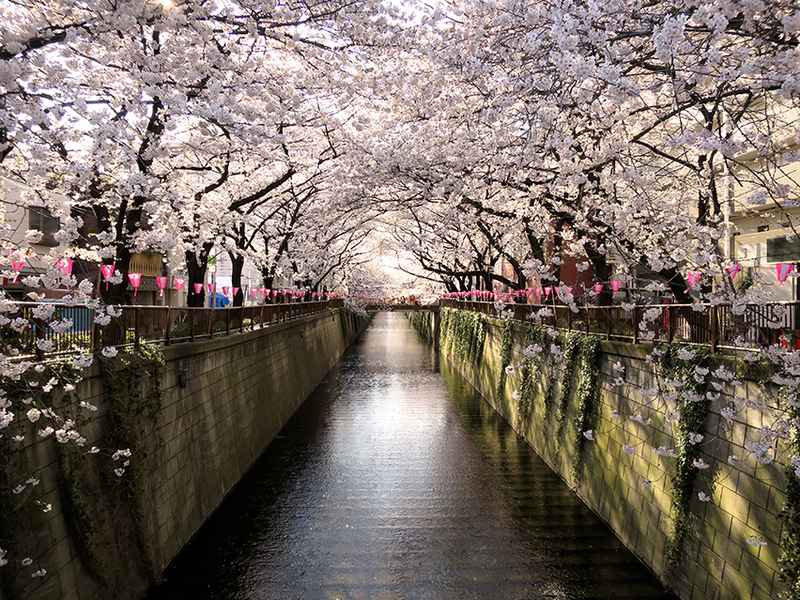 The river that runs through this traditional neighborhood is lined with amazing cherry trees, and they’re lit up at night too, until 9:00! 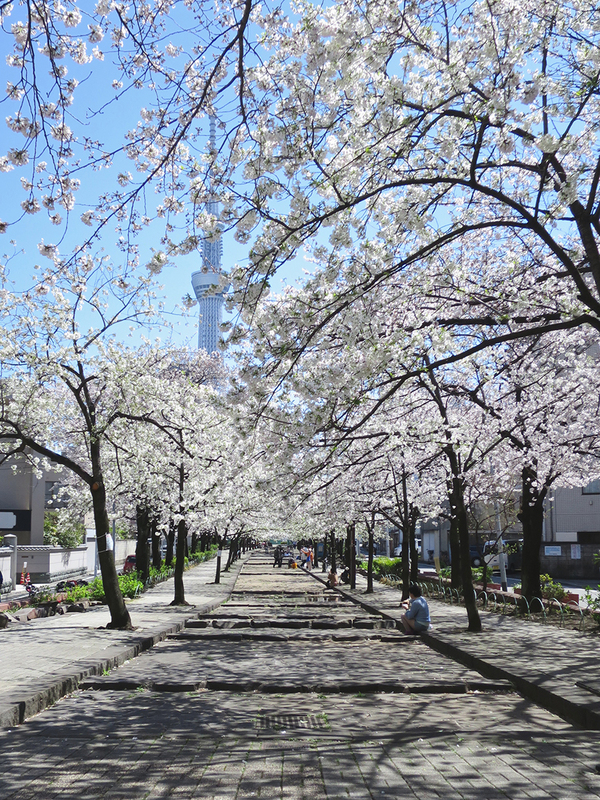 This jewel of a street has a stream running down the middle of it (although it doesn’t always have water in it) and during cherry blossom season it becomes a bower of white. This is a great place to bring your lunch and rest your feet, in the middle of Asakusa. 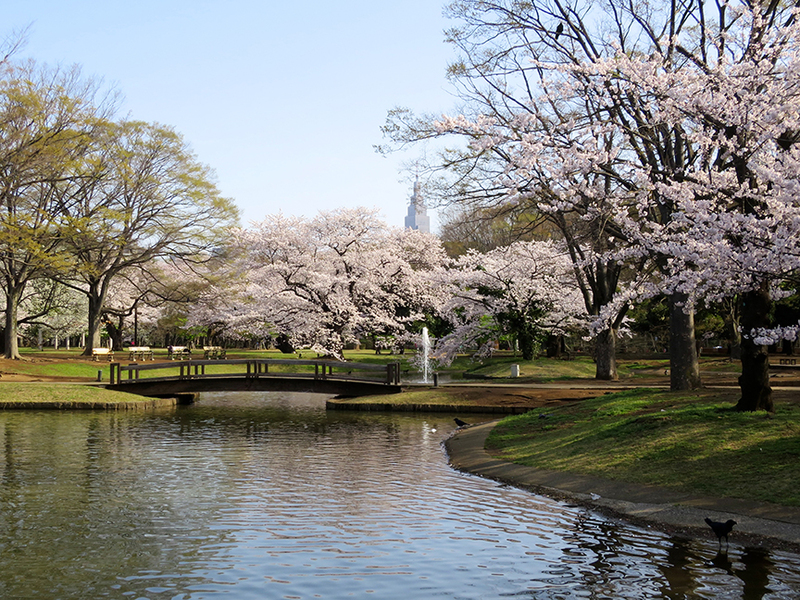 Just across the bridge from Asakusa on the way to Skytree is a lovely garden that is packed with cherry trees and nice strolling paths. Meguro river has always been one of my favorites, but it’s gotten so popular you can barely maneuver. Little known tip: if you cross Yamatedori heading toward Ikejiri, it’s a lot less crowded. I once saw a full moon there, directly above the river and perfectly framed with blossoms. Breathtaking. I’m going to check that out tomorrow night, whether it’s raining or not! Thanks for the tip! Arigato! These places are so lovely, you couldn’t take a bad picture if you tried! Gorgeous! Thanks for sharing – I never get tired of looking at cherry trees, and Portland has a lovely selection!